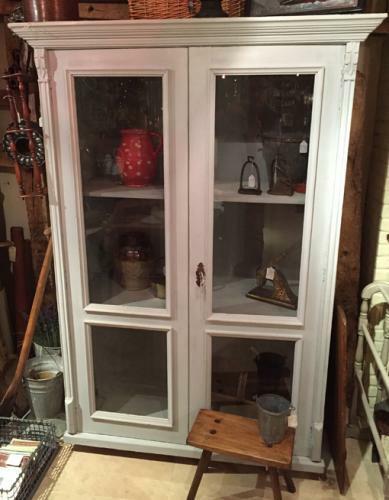 Very elegant tall painted cupboard circ 1900 with 4 large glazed panels and inner shelves. Ideal larder cupboard in kitchen or as a laundry cupboard etc. Painted chalk grey with original key and nice classic detailing.